He is 100% Middleton (no Windsor, no Spencer, no Goldsmith, no Mountbatten, etc), and thank God those Windsor genes are finally being diluted. Yup! That's how I see Prince George as well! He's so adorable! Those cheeks are so pinchably cute! And with that remark Queen Mary's genes will rally!!! I never saw that Kate has brown eyes, I think all the photos show green eyes! What I find really interesting about this little fellow is how he will deal with his future role in even more and more digital and ultra-liberal times? How will his parents raise him and will they repeat their own parents' mistakes? Or maybe even there will be no monarchy any longer in the UK and he will die as simply George Mountbatten-Windsor and not George VII? 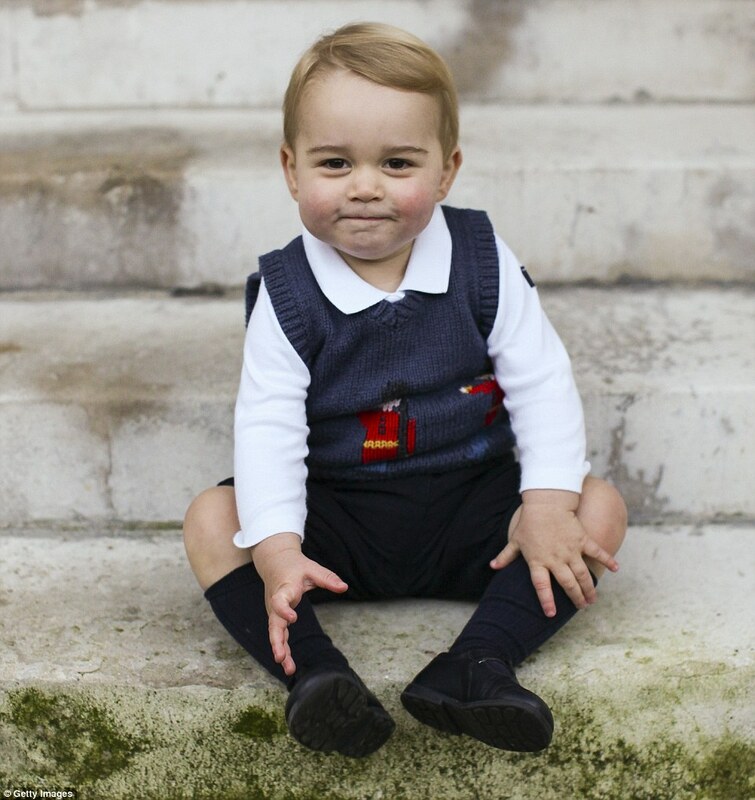 George is one cute boy but I disagree that he is 100% Middleton - I see William all over him. I agree with you, that picture with him looking out in the stairs to the left of shot reminds me so much of William. Very cute pics- is he on the naughty step ? I love his outfit too - On TV they were reporting the top sold out before the pics were released! the pics are lovely, i just wish we had at least one with the parents! he's looks so much like the middletons! But the dimples around his mouth are clearly from his father! Did George just beat his dad at sailing too? Or is he thinking, "if I can only find where they stashed my Sealegs boat, me, Lupo and giant wombat are out of here when that new baby is bawling and moving in on the free swag." Yes, in the next baby, especially if a girl. He is such a cute little boy. You can tell how much he's grown in the last months. I think it depends on which photo you're looking at, which one of his parents he looks the most alike.